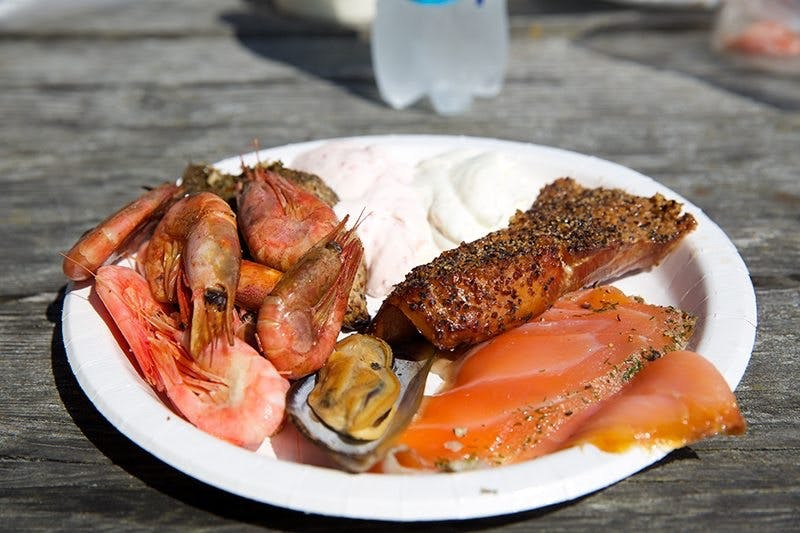 Vacation on Gotland, Sweden, includes a traditional visit to Sysne fishing village. So even this year. Doc, can you tell us what's on the plate? Please. Yes, please tell us what is on the plate and what makes this meal LCHF?? Do you have a handy chart for the wall featuring LCHF choices and meal plans? That would be a very handy tool for staying on track. I see, scrimps, probably even some smoked scrimps, one smoked mussle, smoked salmon, gravlax.. and probably some sort of mayo or aioli! O.M.G.!! That is the most perfect gorgeous little girl I have ever seen. PLEASE do it again!!! And maybe one more time after!! !